If you’ve been wanting to start earning money as a freelance writer, or just have some interesting stories to share and would like to do some one-off writing and publish your article online for extra money, paid guests post opportunities are just what you need. When I first got into freelance writing, I was eager to build up my portfolio so I could get hired for ongoing gigs. I had mostly a journalism-based portfolio at the beginning so I knew I needed to diversify it with blog posts and articles on different websites. Doing guest posts is one of the best ways to build up your portfolio and get your name/work out there, but usually, guest posts opportunities are not paid. Most of the guest posts I did at the beginning were for free but my very first one was paid and it felt great to receive compensation for all my hard work. That being said, if you’re looking to earn money from freelance writing rather quickly, paid guest posts are the way to go so you can earn as you build up your portfolio. I’ve seen quite a few posts online with links to websites that pay for articles but a lot of the information is outdated. That being said, I plan to update this regularly so the information is always valid. Whether you are looking to write about parenting, fashion, finance, sports, law, technology, travel, food etc. here are 22+ websites that will pay you for a guest post! A Fine Parent was my first paid guest post opportunity. If you like writing about parenting topics, they pay $100 per article but you must send an outline first. Currently, they are not accepting guest posts as they have enough articles to run through July. However, you can sign up to receive notifications for when they’ll open up submissions again here or just check in on the website in August when they’ll most likely invite writers to submit paid guest posts again. The Penny Hoarder is a HUGE personal finance website that pays writers either $75 per 700-900-word post or a link to their website. This site receives about 10 million visitors a month so if you’re a blogger or business owner with a website, the link could be really beneficial. The Penny Hoarder is also hiring full-time writers and editors as well. Learn more by reading their submission guidelines. If you’re interested in writing about writing, The Write Life pays $75 per 600-900-word post. The Write Life is a great website for writers to receive tips, advice, and resources that will help advance their career. If you have any writing tips or stories to share, be sure to check out their submission guidelines. If you’re a travel enthusiast, this digital magazine is run 95% by freelancers and pays $1 per word for guest posts – that’s a really good rate! Find out more about submitting your writing to this site here. This is another travel site that pays writers $150 per an 800-1,000-word travel post. They also pay $20 per image too if you’d like to submit your own images. Just Parents is another parenting website that pays $50 per guest post. Find out more here. 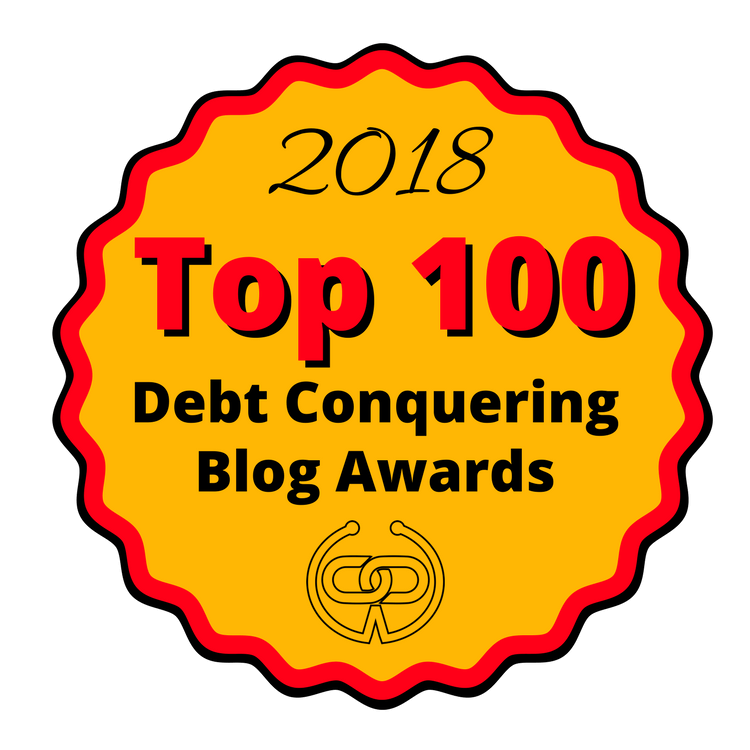 This is another personal finance blog that pays writers $100 for articles that are analytically sound, thoughtful, and well written. It looks like you have to apply though to submit articles. Find out more here. Doctor of Credit is a personal finance site that accepts guest posts about credit and similar financial topics. They pay $50 per post and may consider working long-term with a writer who can consistently submit quality blog posts. These submission requirements are from a few years ago but still valid because I see that admin on the site still actively monitors the page and responds to comments. This is a digital technology website that posts content about web design, web development, and web content. They pay $50 per mini-post, $100 per article, and $200 per feature. Check out their submission guidelines here. If you love your Apple devices, you can really cash in by writing a guest post for AppStorm. AppStorm publishes articles that discuss apps for the iPad. They pay $60 per submission and you can write an in-depth review, a how-to article on how to use a specific app or a roundup post. Learn more here. Babble is another parenting website, but this one is owned by Disney. Babble pays contributors around $150 for a 1200-word article. This is another travel website that pays writers. They pay $50-$75 for articles they request for the website, $100-$150 for interviews and personal stories, and $150-$200 for articles with specific income advice a reader can print and follow to earn more income. Learn more by checking out their submission requirements. Lawyerist is a legal online magazine that publishes content and videos that are useful or interesting to practicing lawyers. If you have a legal background, you could earn 10 cents per word for a guest article you submit. If you are confident in your ability to tell funny stories and jokes, you can submit a guest post to this website for $60. They also accept funny cartoon drawings for $30-$50. Are you a wine lover? This site will pay you $50 per 500-700-word blog post about storing and enjoying wine. They love to accept guest posts about the best ways to choose, use, install or enjoy wine cellars, racks, cabinets and cooling equipment. Check out their submission guidelines here. LiisBeth welcomes intellectual service articles, profiles, policy critiques, op-eds, interviews, and personal stories regarding experiences in the start-up space from a feminine perspective. On average, they pay $100-$2000 per piece depending on the type of work, the original research involved and length (typically 500-2000 words). Read more about their submission guidelines here. Cosmopolitan is a popular magazine you might have heard of. They pay $100 per 800-word guest submission on topics ranging from fashion, beauty, and lifestyle. DailyWorth accepts guest articles surrounding women and money. They pay $150 per guest post. You can email your pitches to Editorial@www.DailyWorth.com. Freshbooks is a popular invoicing and payments website for creatives and small business owners that pay contributors $200+ per 800-word guest post submission. You can send your pitches here. The Atlantic is a popular website that is always interested in fiction, nonfiction, and poetry submissions. Their mental health section reportedly pays writers $200 per guest post. Learn more about contributing to the Atlantic here. This is a food blog that pays writers $200 per 800-3,000-word article. Check out their submission requirements here. SB Nation pays for some sports contributions. I did some digging and couldn’t find much about their current rates. If you really want to write about sports, you should reach out to them by sending a pitch and negotiating your pay. Sporting Classics pays $700 per guest posts about hunting and fishing. You can pitch your story idea to their editor here. LadyQ’s is a women’s site that pays writer’s a base of $50 per opinion and editorial pieces, how-to articles, and product reviews. You can find contributor guidelines and instructions for how to submit your pitches here. Loaded Landscapes is a photography blog that focuses on articles related to landscape, nature, wildlife, and travel photography. Writers are paid $20-$150 depending on the article and the writer’s experience. To apply, click here. Blogger Hangout is a place for writers to go to understand blogging and become more successful at it. The target audience of Blogger Hangout is writers looking to make a full-time income from their blog. They pay $50 per blog post at this time. To apply, click here. Elite Personal Finance writers shoot for posts between 1,000-3,000 words. Writers will make $100 per post. A few of the accepted topics with Elite Personal Finance are loans, credit cards, identity theft, and credit reports. For more information, you can click here. Once you land your first paid guest post, it will feel awesome. For me, it sparked my motivation and drive to become a paid freelance writer and land clients who could offer me regular assignments. If you are interested in earning more as a freelance writer, I’d highly recommend you consider investing in your skills and taking the Earn More Writing Course from award-winning freelance writer Holly Johnson. Holly is an amazing writer and knows the industry well. In this course, she shares the strategies and resources she used to go from $0 to $225,000/year as a freelance writer. That’s no chump change and she’s been doing it for years. If you want to learn how to pitch winning clients the right way, I have a course I recently released called Freelancer’s Winning Pitch that will help you get started and score a quality new client in 10 days or less. Have you ever heard of or written for any of these sites? What would you add to the list? Do you have any questions for me about freelance writing and submitting guest posts? I have been thinking about starting this on the side since I already work at home. Thanks for the organized list! Your welcome! Freelance writing can be a great side hustle if you like to write. Thanks! Will consider Adding this. Great list of websites. I’m about to check out a couple of them. This was exactly the list I needed, Choncé! Hugely helpful! Awesome list and right on time! Thanks so much for sharing your insight.